Peru manages to encapsulate much of what South America has to offer in just one country; the vast Amazon rainforest, the extensive Pacific coastline and the magnificent Andes, to mention only the surroundings! 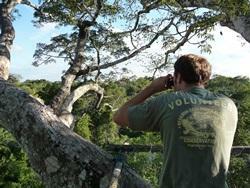 Wildlife, beaches, historical sites and the most beautiful mountains in the Andes range are found in abundance. 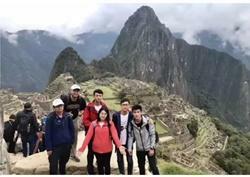 Our group trips in Peru are open to anyone with a passion for volunteering together in the developing world; including those at school, in a community group, at university or working together. Located just south of the equator on South America’s Pacific coast and at five times the size of the UK, Peru is an ancient country whose history has been shaped by the Incas and the Spanish. Hispanic and Native Peruvians live, for the most part, in harmony. 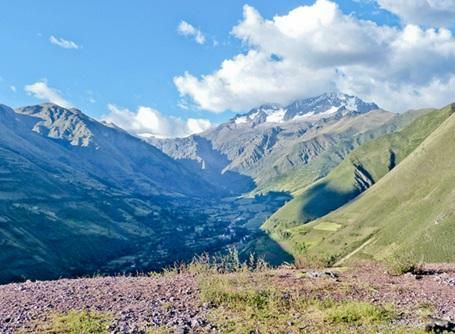 Both Spanish and Quechua are commonly spoken throughout Sacred Valley of the Incas, as well as in through the whole of Peru. Poverty and unemployment rates in Peru are high, though there is a strong middle class as well as areas of advanced development. There is a great deal of social inequality and a huge gap between the rich and the poor. Nearly 50% of the population officially lives at the poverty level. 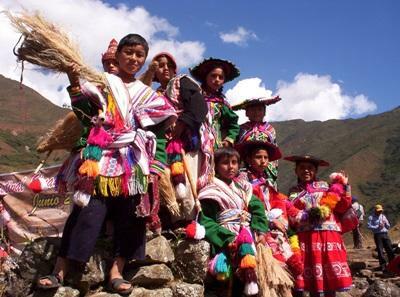 Many Peruvians, especially indigenous peoples, survive on low incomes and with little human rights protection. Volunteers in Peru help address these issues through programs focused on Care, Teaching English, Medicine, and Environmental Conservation. Projects Abroad Peru has its office located in Cusco. Our range of voluntary projects are based in many of the small towns in the region where the local people are renowned for their hospitality and are keen to welcome volunteers into their communities. 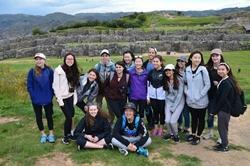 Our unique Inca project is based in various sites surrounding Cusco. For groups volunteering in the rainforest on our Conservation & Environment project, you will be based on the north-eastern side of the Andes Mountains deep in the Amazon rainforest. To get there, our groups take a one hour flight from Lima to Puerto Maldonado where they will then take a two-hour boat trip up the Madre de Dios River – it’s a jungle adventure just to get there! Groups will stay in a local hotel or hostel so that both work and free-time can be arranged and organised easily amongst yourselves. However, any groups working on our Conservation & Environment project in the Amazon will live and work in their own Taricaya Lodge where they will be living alongside playful spider monkeys. 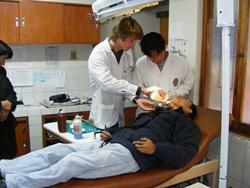 Projects Abroad works closely with many local organisations in Peru. By developing local partnerships, we can make sure that our volunteers contribute their time and skills where it's needed most, while supporting and developing organisations that work in these communities every day. It's one of the ways we make sure our volunteers make a long-lasting positive impact. Peru encompasses many of the greatest aspects of South America, from its range of wild landscapes such as its frozen Andean peaks and its dense Amazon rainforest, to its ancient buildings and traditions. 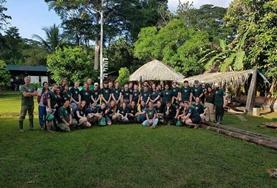 Groups will get the opportunity to experience all of this with their free time in the evenings and on the weekends. In the evenings, groups might take a trip into Cusco to experience what the night life has to offer, such as sampling local brews like Pisco Sour or Cusquena or even local dishes such as Cuy; Guinea Pig! They may even meet some of the locals and take to a spot of traditional dancing, then again they might choose to relax and watch the world go by from a local beauty spot. From Cusco it's easy to visit Machu Picchu, whether it be via the train or the long hike! 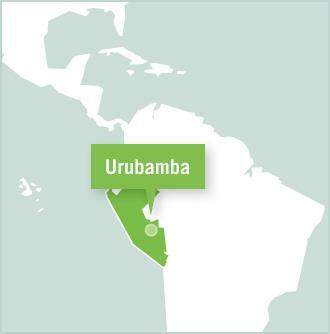 You can also go rafting on the Urumbaba River or see traditional Andean theatre and dance. If you're seeking thrills of an adrenaline-driven nature, venture into the Andes, which offer some of the best mountain-climbing and trekking opportunities on the planet. Take a weekend trip to explore the enigmatic Nazca Lines, or enjoy a boat ride on Lake Titicaca: the world's highest lake. Puerto Maldonado is a dynamic young town, home to 25,000 people. On your days off from the Rainforest Project, as well as taking the boat back to enjoy life in a frontier town, you may have the opportunity to take a river trip to the Sandoval lake, where you can enjoy fishing, wildlife watching or just meeting with the locals. 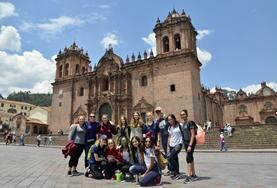 Many groups choose to stay on after their project placement is over so that they can venture out into the continent and explore everything else that South America has to offer. However, Peru is still a very large and diverse country characterised by different cultures, stunning scenery and huge bio-diversity. It would be very easy to simply choose to stay and explore this unique country!